Harlan Yu is the executive director of Upturn and one of the primary authors of the Police Body-Worn Cameras Policy Scorecard. Malkia Cyril is founder and executive director of the Center for Media Justice (CMJ) and co-founder of the Media Action Grassroots Network. In the three years since Michael Brown’s fatal shooting in Ferguson, police body-worn cameras have been sold to the public as a tool that would primarily deter police misconduct. One of the main selling points is the claim that the devices would have a “civilizing effect” on officers. Officers would behave better, the argument goes, if they knew their actions were being recorded. Camera vendors have told departments that their devices would reduce excessive uses of force and complaints against officers. But as it turns out, in one of America’s largest police departments, body-worn cameras did not produce any of these benefits. A landmark study recently released by the D.C. Metropolitan Police found that officers who wore cameras behaved in essentially the same ways as officers who did not. The presence of cameras had no statistically significant impact on how often officers used force or on how many misconduct complaints the city received. The results raise an important question: If these benefits have not emerged, could the other claimed benefits of body-worn cameras — increased transparency, accountability and trust — also be false promises? So far, there’s little evidence to suggest that department-owned, officer-operated cameras will lead to any meaningful improvements. To the contrary, a tool that’s viewed by some as one that can protect black lives is actually one that mainly helps those in blue. Departments nationwide have flocked to body-worn cameras as a fashionable and almost reflexive reform. But it’s becoming clearer by the day that body-worn cameras are not some magical turnkey response to police brutality. In the years since Ferguson, how many officers have actually been held accountable for their actions — either fired, or in more severe cases indicted and convicted — because of body-worn camera footage? We bet you can’t think of many. We remember many names — Eric Garner from Staten Island, Tamir Rice from Cleveland, Walter Scott from North Charleston, Alton Sterling from Baton Rouge, Philando Castile from Minneapolis — because we’ve seen the horrific videos. But remember: those videos came from bystanders’ phones and security cameras, not from police cameras. This isn’t a coincidence. It’s officers who wear and operate body-worn cameras, and it’s the departments who own and control the recorded footage. Departments, often in negotiation with police unions, set the policies and procedures that guide the cameras’ use. So it should come as no surprise that body-worn camera policies around the country largely favor the interests of departments and their officers, often at the expense of the public’s interests. In most major U.S. departments, there’s no easy way for the public to obtain body-worn camera footage, even (or perhaps especially) after high-profile uses of force. A Texas state law, for example, prohibits all departments in the state from releasing any footage that documents a deadly force incident until the conclusion of all criminal and administrative proceedings, which could take months or even years. Moreover, departments in California routinely withhold all footage from the public, by categorically invoking the investigatory records exemption to the state’s public records law. Even absent such legal restrictions, departments reserve broad discretion to decide whether and when to release footage, which has allowed them to cherry-pick valiant footage for swift public release, while burying controversial footage. The lack of transparency is further imbalanced by the fact that departments almost always allow their own officers to watch camera footage before they write their initial reports. This makes it easier for officers to act for the camera and potentially create false narratives about what truly happened, even after a serious use of force. This is a devious twist that could make it even harder to hold officers accountable. 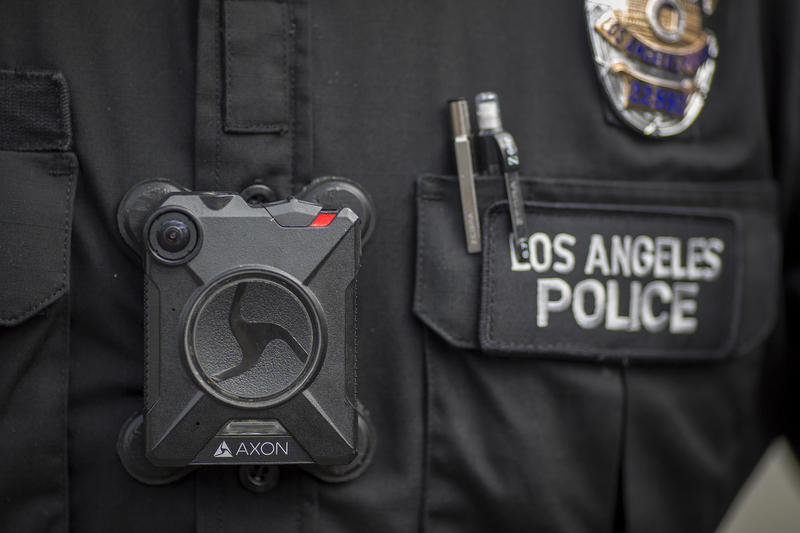 Rather than bringing about accountability, we have long feared that body-worn cameras would instead further intensify law enforcement activities, especially in over-policed black and brown communities. Camera systems are surveillance systems, with cameras concentrated in places where officers choose to spend the most time. True to form, vendors are now seeking to incorporate face recognition capabilities into their camera systems, which would turn them into dangerous systems of mass surveillance. Body-worn cameras — like all technologies — reflect the values of the people that build and control them. The sad reality is that these cameras mirror the power and the interests of the police, not those of the communities they are sworn to serve. Without deeper structural reforms together with real community oversight, we shouldn’t expect body-worn cameras to deliver any meaningful transparency or accountability.